THE line between environmentalists and mining executives is normally a clear, decisive one. Unless, of course, you’re Nombasa Tsengwa, who is both coal mining leader and a trained botanist, specialising in agronomy which is to say, grasses. But she was a teacher first. That’s quite some CV. He needn’t have worried. Not only did his daughter manage a degree – not so incidentally, the agronomy was taken at PhD level at the University of Maryland – but she also went on to become head of coal for Johannesburg-listed Exxaro Resources, one of the largest producers of the fuel in the country. 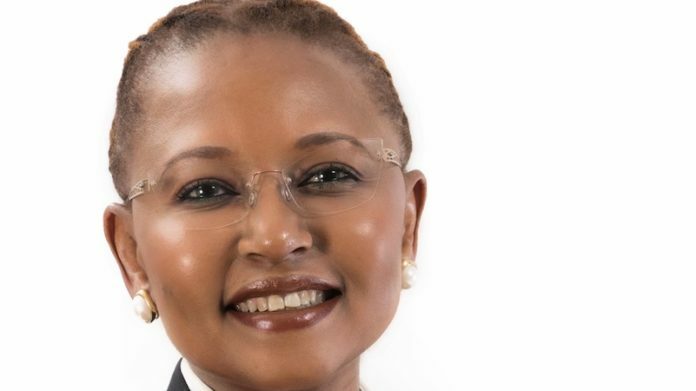 More recently, Nombasa was voted SADC’s Most Influential Woman in Business and Government for 2018 in the mining category and will now compete for the continental title. In 2017, she was named Standard Bank Woman of the Year. The route from teaching, to plants to mining executive, however, was forged in “the civil service”, as Tsengwa describes it; in other words, the government. “As a people’s person, life in the lab was too lonely, hence I joined the civil service as a senior official from 2000 to 2003,” she said, describing it as “… a steep learning curve”. Back in 2006, during the first few years after agreement was reached on a Mining Charter, there was intense pressure to achieve headline-grabbing transformation on targets such as ownership transfer. One wonders to what extent the equally important aspiration of employment equity – especially in respect of women in mining – was given the right attention. But Tsengwa thinks the role played by woman in mining has improved nonetheless. Roughly 13% of the South Africa’s mining workforce is female, and 17% of total employees in coal mining specifically consists of women – a significant improvement in the last ten years. On female representation in executive and top management alone, Exxaro jumped 33% from zero base between 2012 and 2017. “The new mining charter targets are very steep, but good inroads have been achieved,” she said. Given that the last head of coal at Exxaro went on to become its CEO – Mxolisi Mgojo – one wonders whether it’s a matter of time before Tsengwa is given a similar opportunity Tsengwa plays a straight bat though: “I trained myself in mindfulness, focusing more in the present moment than dreams. To me it’s not about the position; my aspiration always is to make a difference in the lives of our employees and communities where we operate while adding value to stakeholders’ investments”.